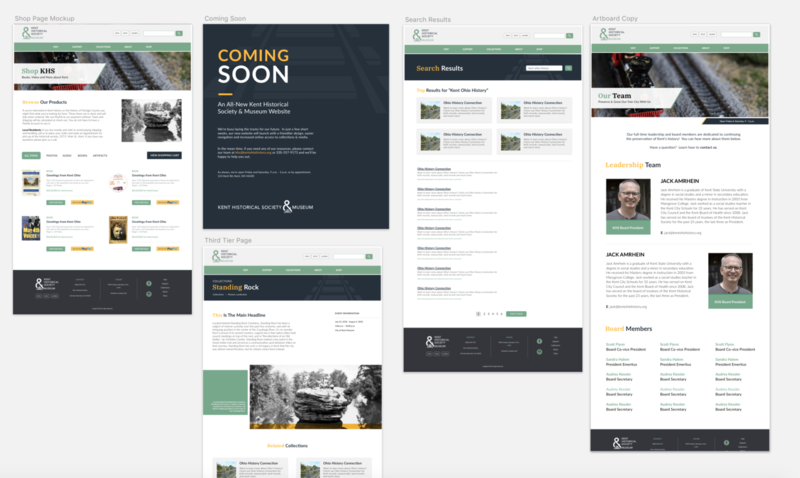 Launched in July 2018, I led the team at IdeaBase that redesigned the website for Kent, Ohio's historical society & museum. Due to the scale of the website, we integrated the bulk of the project work into my advanced responsive web design class, which consists of 10 students who are studying web development, content strategy, graphic design/branding and user experience. I planned out the class into 6 sprints and guided the student team through front-end design, backend implementation and account management throughout the semester. I also worked with a web developer after the class had concluded to finish and refine the site to prepare it for launch. Visual design, wire framing and prototyping for additional templates and components, including refinements to the home page, team member profiles, search results interface and third-tier pages. As a result of my team/classes's user-centered approach to the problem, the redesigned website was able to launch on time. Existing content (though reorganized) was reused and made more visible. The new site loads much faster than the previous one, with optimal responsive presentation across multiple devices. 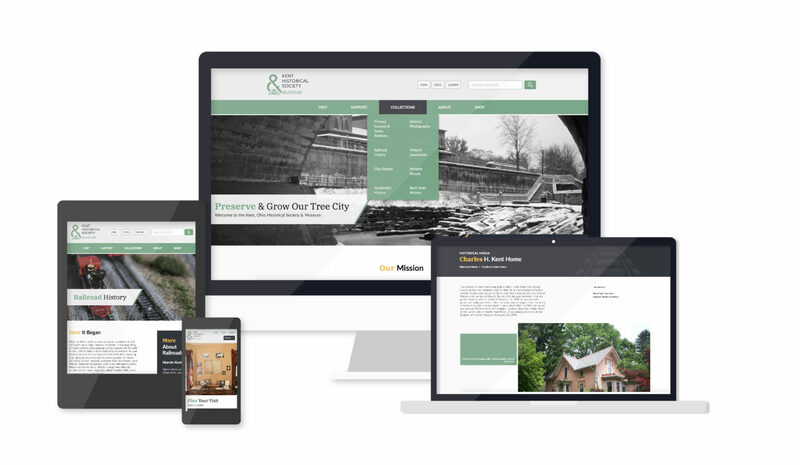 In addition, our design team was able to integrate new branding, including logos, colors and typography, into the website as well as future print materials, providing a more cohesive identity for the historical society. 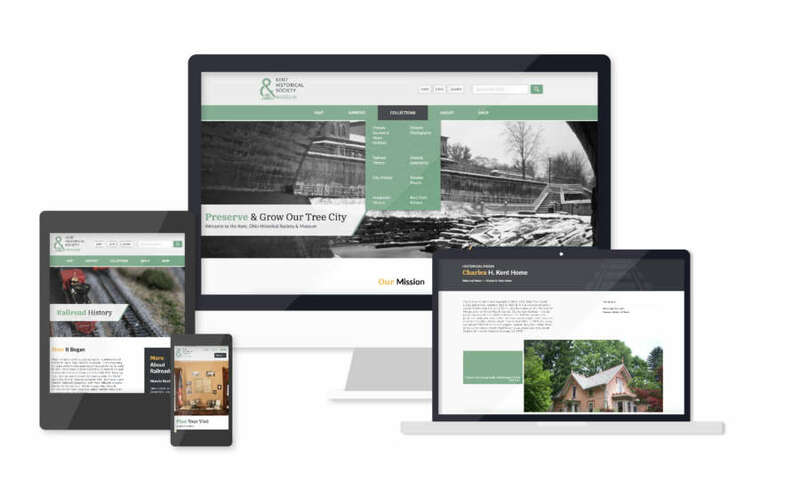 Most importantly, our implementation in a content management system allows the client to expand upon their publicly available historic media and resources, as well as add new exhibits and events, in the future, ensuring the website stays relevant and useful over time.